AShTY (Am Shalom Temple Youth) is our high school youth board. They design, plan, and execute their own events, with guidance from our youth programming team. Over the years, these events have included bonfires, beach parties, mini golf, sleepovers, and volunteering. Want to get involved? Reach out to Kadi House for more information, or stop by Am Shalom at any time and find any member of the AShTY team! AShTY is also involved with NFTY (North American Federation of Temple Youth), the Reform movement's youth division. 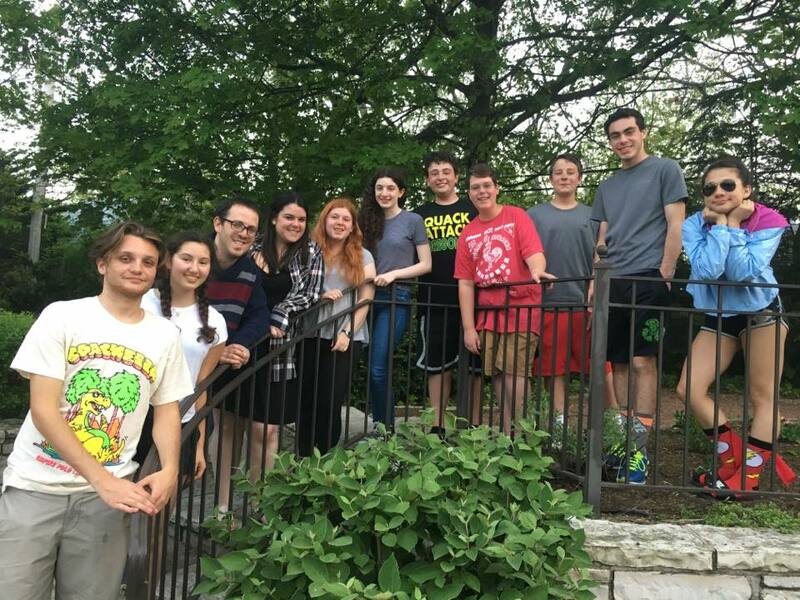 We are part of NFTY-CAR (Chicago Area Region), where we participate in a multitude of events. President- Oversees the AShTY board and runs meetings. Logistics- Deals with the execution of the events. Secretary- Takes notes during our meetings and passing along important information to the group. Social Media – Manages our social media presence- Instagram, facebook, and communication with the Am Shalom teens as whole. Recruitment Coordinator- Works with the rest of the board on inviting more Am Shalom teens to be a part of AShTY. Social Action- Coordinates social action projects for AShTY. General Board Member: Helps to develop ideas for events and more!